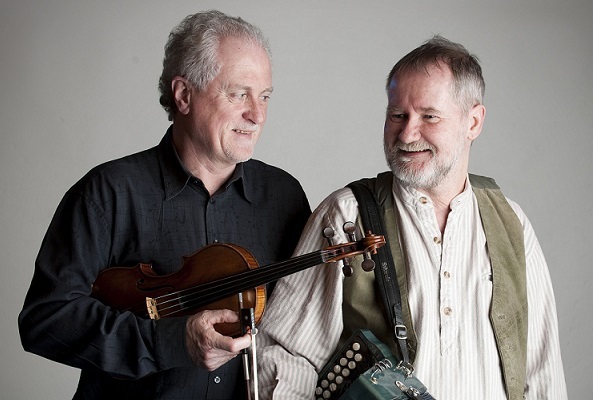 On Friday 27th March 2015 traditional music fans in the midlands will be treated to the sounds of award winning accordion player Jackie Daly and fiddle player Matt Cranitch. The words ‘Button Accordion’ and ‘Jackie Daly’ are synonymous in the world of Irish traditional music. Described in the New York Times as “probably the best accordionist in Ireland”. Jackie was a central figure in some of the most dominant groups playing Irish music in recent times. His performances with bands such as De Danann, Patrick Street, Buttons and Bows, Arcady, Reel Union and Kinvara all attest to his wonderful music and versatility. In 2005, he received the TG4 Gradam Ceoil (National Music Award), and in 2009, the Kanturk Arts Festival Award. Matt Cranitch is renowned as a fiddle-player and teacher. He has performed extensively at concerts and festivals, on radio and television, and has presented lectures, master-classes and workshops on various aspects of Irish music. For many years, Jackie and Matt have been among the foremost interpreters of the rich Sliabh Luachra tradition of instrumental music. The unique cultural area on the borders of northwest Cork and east Kerry provides a special repertoire of tunes as well as a very distinctive style of playing, and has long been a source of inspiration for both Jackie and Matt. 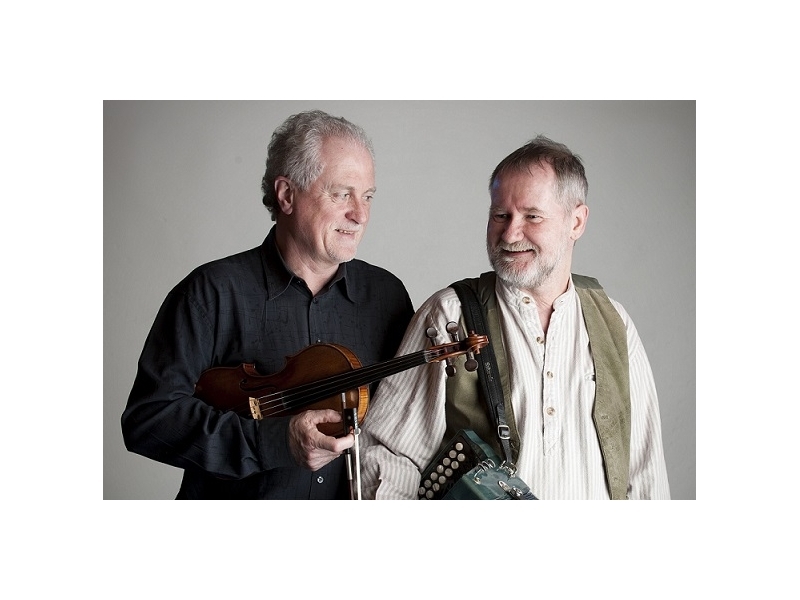 Through their respective performances over many years, they have established enviable individual reputations in the world of Irish traditional music. Together however, the vibrant music that they create displays an additional collaborative dimension. 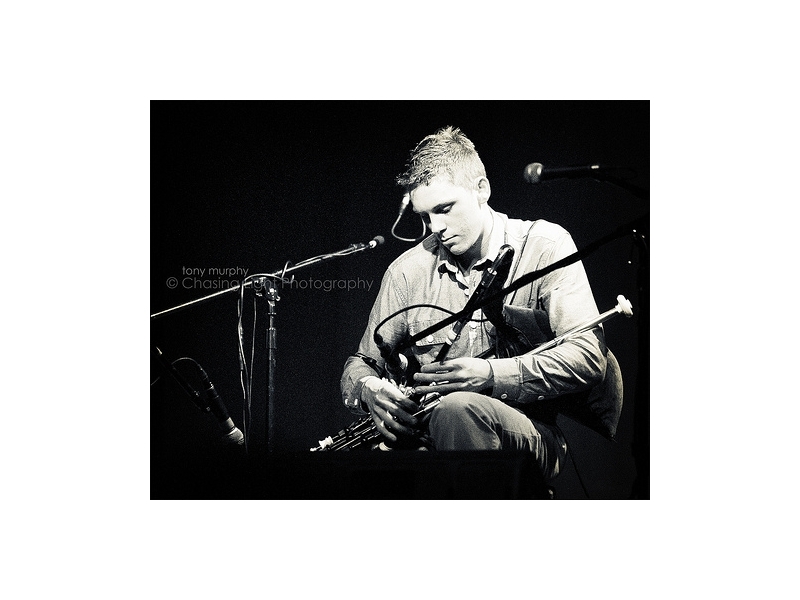 As part of our policy of promoting talented young musicians Pádraig Keane (piper) will also guest on the night. 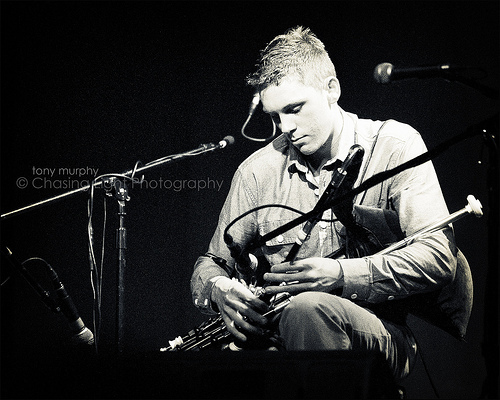 Pádraig was TG4 Young Traditional Musician of the Year 2011. He has absorbed the music of master pipers Willie Clancy, Seamus Ennis and Seán Mc Kiernan while developing his own personal, creative and exciting style. He has toured America (as soloist with The Irish Chamber Orchestra) performing Termōn - a piece for uilleann pipes and strings by Mícheál Ó Súilleabháin - which was commissioned for the tenth anniversary of 9/11. He has also toured with Ragús and worked with Galway's Irish language theatre group - An Taibhdhearc. He is featured on "The Rolling Wave" - a CD of young pipers issued by Na Píobairí Uilleann in 2012. Don’t miss this opportunity to hear these musicians in the intimate setting that is the Tullamore Rugby Club on Friday 27th March. Doors at 20:00. Tickets can be purchased on the door or from Vanessa Fennelly at 087 2661822. Brian Mc Daid 086 8238764. Tickets cost €15.